Starwood Preferred Guest eliminated elite status matches in March 2011 and replaced them with ‘status challenges’. I wrote about the change right before that happened, and it’s what prompted Lucky from One Mile at a Time to start staying with Starwood. He’s since done more than 670 nights with them. Status matches can work for a travel provider. Status challenges let you earn status more quickly — fewer nights in a compressed period of time — though in some cases they don’t advance you the status while you’re working on the challenge. 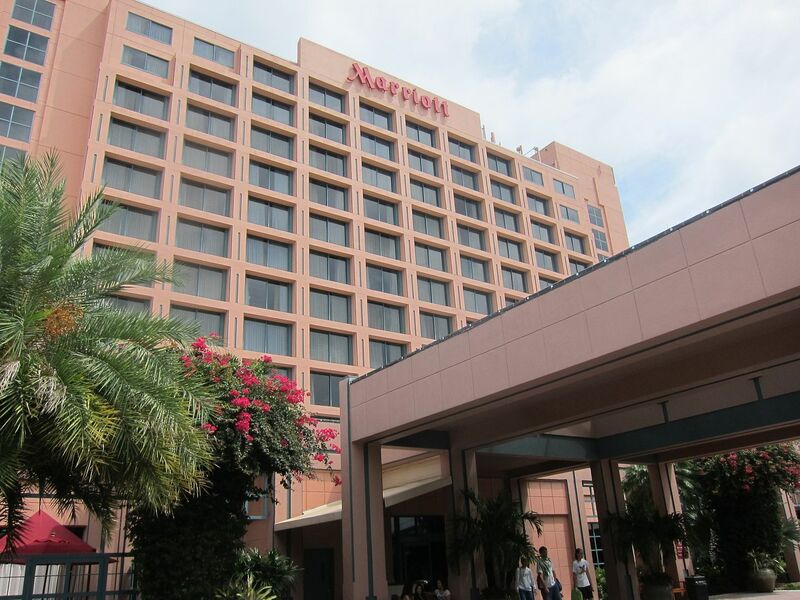 Marriott historically offered status challenges, “Taste of Platinum” and “Taste of Gold” which provided temporary status just for the asking and an expedited way to keep that status. Over time it became more restrictive on who could request it, in fact in recent times you could only challenge one level higher than your current status. Now that the new Marriott program has launched they’ve re-opened status challenges. eric.paranoia relays information shared by Marriott on the Chinese FlyerTea website that elite status challenges are being offered by Marriott. Normally Gold status requires 25 nights in a year and Platinum status requires 50 nights. However you can call to sign up and a Gold challenge requires 8 nights in 90 days, and a Platinum challenge requires 16 nights in 3 months. Not every agent knows about the offer, and not everyone will see it or know how to sign you up for it. Something I’m really getting to learn first hand now is how different Marriott agents have different levels of familiarity with the program and give out incorrect information. Legacy Starwood agents also seem to have access to things that Marriott agents do not and vice versa. Here’s one report that emphasizes you need to speak to an agent on the Starwood Preferred Guest side to enroll and that you’ll only be able to enroll once through the end of 2021. So you’re going to have to hang up, call back if you don’t get the answer you want the first time. Starwood used to offer e-mail confirmation of their status challenge. You would know you’re signed up, and exactly the terms. If you’re not able to get formal confirmation you want to document your sign up as well as possible. If you’re able let the agent know you’re recording the call and then do so. If not document the exact time of your call and get details of the person you spoke with. Your goal is to be able to document that you made Marriott stays in reliance on assurances provided by their agents. Marriott’s platinum status gets you 4 p.m. late check-out, breakfast as an amenity choice at most brands, upgrades to standard suites if available, lounge access at most brands, and 5 nights of upgrade priority as a choice benefit. My (newly developed) understanding is that choice benefits occur after 50/75 actual nights stayed in hotels (nights earned from credit cards, etc. don’t count), which is not the same as Platinum status getting you it. In that case, you wouldn’t get choice benefits from earning status through a challenge, right? How can they open a new status challenge when they haven’t finished correcting everyone who completed the challenge before August’s status? I would point out that im plat elite and just had several stays and at none of them did i get a suite upgrade so i certainly wouldnt count on that benefit no matter what marriott is claiming. There should be a new Freddie Award – Worst Integration! Would hosting 2 meetings ( 10 nights per meeting) qualify? Do we know if plat benefits are extended during the challenge period? Also, I see that award stays counting are an unknown… wonder if 7 day certs count? Thanks for the heads up, but one important thing is missing from the above article: how much is the Platinum status worth? With 16 nights, that’s probably around $1500 depending on cash back portal rebates and points earned. Unless you have scheduled travel, is it worth it? The greatest concern here is the need to document (even recording!) the phone conversation with the SPG agents to ensure that one has something to complain about later on when Marriott decides NOT to honor it. I am not sure I wanna go thru those hoops just for $10 breakfast credits and a non-ironclad suite upgrade terms. Would you know if people who took the previous SPG platinum challenge is eligible ? If you don’t make the challenge do you lose your original status? I am currently gold lifetime and would do the challenge as I am going to Britain for the month of october and probably will use 16 days for sure. But, if I don’t I don’t get downgraded? Same question as above. Do paid meeting rooms count towards paid nights? Does anyone know if I stay in Marriott executive apartment would it be considered in the platinum challenge ? Is it possible to stay at 2 hotels at the same time?